The first two years of a child’s life pass quickly, but what happens during this period has lifelong implications. It is a time when the brain develops at its fastest rate, and this development is a key determinant of the intellectual, social and emotional health of the child. External influences, such as nutrition, sleep, maternal stress and neglect, can have a significant effect – not only mentally, but physically. It is why this period – coupled with pregnancy – has become known as the 1,001 critical days. It is now five years since a cross-party group of MPs launched the 1,001 Critical Days manifesto, which calls for an emphasis on the early years, and almost ten since the government’s Healthy Child Programme was launched in England. Over these years a carefully tiered system of support has been developed. At the bottom is the universal care coordinated by health visitors, children’s centres and midwives, which can include everything from antenatal classes to immunisations. For children and families with additional needs more intensive support is provided through other schemes, such as the family nurse partnership, parenting classes, mental heath support from peer groups and clinical care. However, children’s charities are concerned about how the system is faring. In an open letter to the prime minister and chancellor this autumn, more than 120 charities said the system is at ‘breaking point’. It came just months after the government launched a cross-party review of the system, and as the Health and Social Care Select Committee carries out its own inquiry. One of the signatories of the letter is the National Children’s Bureau. Its director of practice and programmes Annamarie Hassall says there is a lack of support, which is being compounded by the impact of increasing poverty. ‘Parents need quality childcare, advice and support on early childhood development. However, she says that because councils are compromised by cuts to their funding, they have started to divert funds away from important services. Children’s centres and health visiting, which are crucial in helping parents to navigate their way round the system, have been particularly hard hit. Since health visiting moved to local government three years ago, the number of health visitors in post in England has fallen by one fifth to under 7,800. Institute of Health Visiting (iHV) executive director Cheryll Adams says the impact has been ‘disastrous’. She highlights research the iHV has undertaken showing one in three 9-12-month reviews, and one in five 24-30-month reviews are carried out by ‘less qualified’ staff. ‘The five mandated visits have been kept, but it was not specified that it had to be from a health visitor. ‘So, what we have seen is health visitor posts cut and nursery nurses and staff nurses – some of whom are not even trained to work with children – being brought in to do the visits. She says this means signs of maternal mental illness, poor housing or domestic violence may get missed and, therefore, referral for extra support whether it is from social care or charities is missed. But even when need is identified, she says, ‘there are not always the services there for health visitors to refer on to’. The pressure means questions are being asked about the future. The government has guaranteed that the five mandated health visitor services should remain in place for the time being. But Public Health England chief nurse Viv Bennett accepts that the system may need to be looked at. In an appearance before the Health and Select Committee in December she conceded that some councils had been providing the ‘minimum’ and said it is possible that the government may look at what should be mandated. University of Northampton associate professor of children’s nursing Sarah Neill believes it may even be time to change the way the system of nursing is organised for children. She would like to see a new post of child health nurse, which could work in any setting. ‘This should include public health so it would bring into one role health visitors, school nurses and children’s nurses. 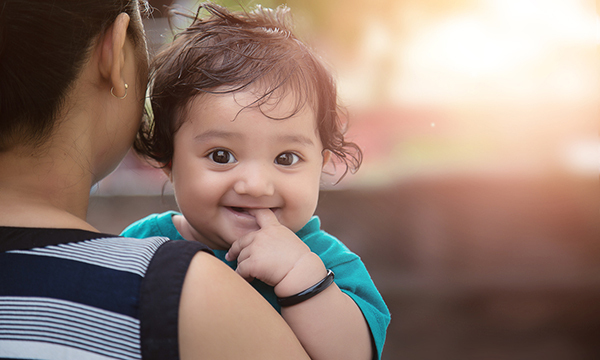 Scotland, Wales and Northern Ireland all have their own versions of the Healthy Child Programme, but there are some crucial differences when it comes to the number of health visitor contacts. In Scotland, 11 visits have been mandated; in Wales it is nine and in Northern Ireland nine is the goal. All visits have to be made by a health visitor. This has meant the number of health visitors in Scotland has been increasing in recent years, in contrast to the situation in England. The family nurse partnership model has also been used in Scotland – as it has in Northern Ireland. Northern Ireland chief nursing officer Charlotte McArdle says the nation has had ‘good success’ with this system, which is helping to ‘break the cycle of disadvantage’. However, Northern Ireland still performs more poorly than England on many outcomes, from child obesity to breastfeeding. Meanwhile, Wales has created a targeted service called Flying Start, which operates alongside its universal health visitor offer. The Flying Start programme provides disadvantaged communities with enhanced access to health visitors, childcare and parenting support classes. Welsh chief nursing officer Jean White says it is proving effective with growing numbers of children ‘ready to learn’ by the time they start school. Blackpool is one of the most deprived areas of England. It has prioritised improving access to health visiting as part of its Lottery-funded ten-year programme to give children a better start in life. 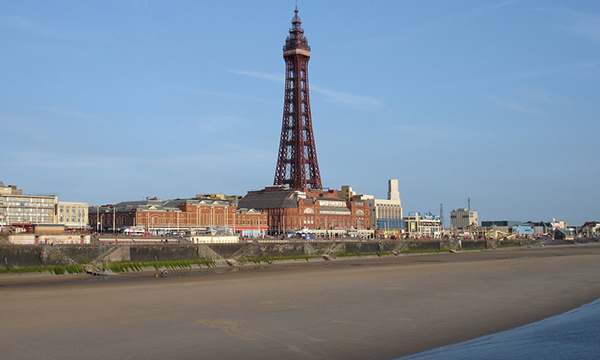 Blackpool Better Start – a partnership between the council, NHS, children’s charity NSPCC and voluntary sector – has invested £1 million to increase the number of contacts from five to eight. The extra visits were introduced from spring 2018 and means there are contacts at 3-5 weeks, 3-4 months and 36-42 months on top of the five mandated visits. There has also been extra investment in speech and language therapy, which can be accessed via referral or drop-in. There are also dedicated programmes for mothers who have been victims of domestic abuse or are struggling with drug and alcohol problems.